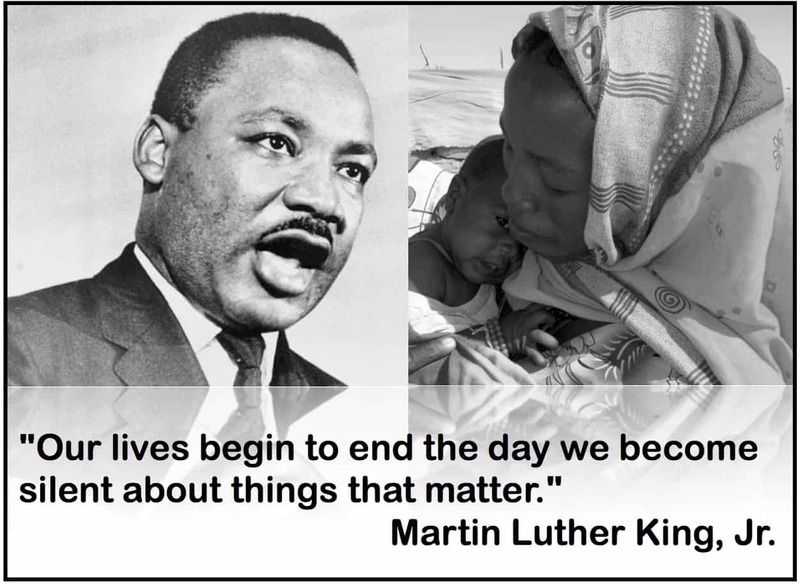 MLK Day is a day of service, when people are called on to work together to make the lives of everyone better. Reverend King believed passionately in the power of speaking out and was willing to pay—up to the ultimate price—to use his voice on behalf of the oppressed. Today, we ask that you use your voice to show the people of Darfur that they are not forgotten. That, while leaders have failed in providing peace and dignity for their people and their land, we stand with them and make the commitment to continue promoting their cause as long as needed. Please send a short message to the people of Darfur, and we will take it with us to the refugee camps our i-ACT team is currently visiting. Please sign your name if you wish it to be public on the message they share in the camps. Leave your message at the bottom of this post.